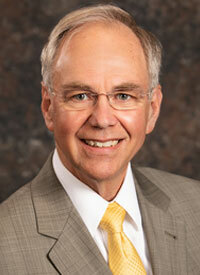 Dennis H. Milbrath received an undergraduate degree in economics from the University of Wisconsin-Milwaukee in 1972. He graduated from New England Law - Boston in 1979 and was licensed in Idaho that same year. He joined the firm in 1989. He practices in the areas of family law and related matters. He is also trained as a mediator and practices mediation in both family and other civil matters. Prior to shifting his practice to an emphasis in family law, Attorney Milbrath handled a wide range of both civil and criminal matters and has successfully represented individuals and corporations in jury trials, criminal investigations, and federal audit and grand jury proceedings. Attorney Milbrath is admitted to practice before Idaho district and appellate courts (inactive); Wisconsin Circuit and Appellate courts; U.S. Court of Appeals, 9th Circuit U.S. Court of Appeals, Federal Circuit; Federal District Court, District of Idaho; Federal District Court, Eastern District of Wisconsin; Federal District Court, Western District of Wisconsin; U.S. Tax Court and U.S. Claims Court. Attorney Milbrath is a member of the following professional organizations including: State Bar of Wisconsin; Ozaukee Bar Association (Past President); American Academy of Matrimonial Lawyers (Fellow); Collaborative Family Law Council of Wisconsin (Past Member of Executive Committee); Divorce Cooperation Institute, Inc. (Past Chair and Current Vice Chair); Leander J. Foley, Jr. Matrimonial Inn, AIC (Past President, 2006-2008; Wisconsin Association of Mediators and Intl. Academy of Collaborative Professionals and Society of Family Lawyers. Attorney Milbrath has participated in a number of appeals: Motte v. Motte, 2005 AP 002776 Jones v. Estate of Jones, 2002 WI 61; Vanderhoof v. Vanderhoof, 2000 WI App 143, 237 Wis. 2d 695 (unpublished); Kapco, Inc. v. HRB Products, Inc., 1994 AP 001591 (unpublished); Marris v. City of Cedarburg, 176 Wis. 2d 14 (1993); Idaho Migrant Council, Inc. v. United States, 9 Cl. Ct. 85 (1985), aff'd U.S.C.A, Federal Circuit, 1986; Idaho Migrant Council, Inc. v. Northwestern Mut. Life Ins. Co., 110 Idaho 804, 718 P.2d 1242 (Ct. App. 1986) and Hellar v. Cenarrusa, 106 Idaho 586, 682 P.2d 539 (1984). Attorney Milbrath has presented at Continuing Legal Education seminars sponsored by the following organizations: American Academy of Matrimonial Lawyers (National and Wisconsin); State Bar of Wisconsin – Family Law Section; Leander J. Foley, Jr. Matrimonial Inn – AIC; Collaborative Family Law Council of Wisconsin; Ozaukee County Bar and Association Idaho Law Foundation, Inc.
Attorney Milbrath has authored the following articles/publications, which include Award of Attorney’s Fees for Overtrial in Family Law Wisconsin Journal of Family Law (July 2006) and The Free Speech Rights of Public Employees: Balancing With The Home Field Advantage 20 Idaho L. Rev. 703 (Summer 1984).